The novel concept could lead to 50-70% savings on the cost of private jet flights, without compromising on comfort and exclusivity. Dubai - Private Jet Charter® (PJC), one of the world's largest independent private jet charter brokers, has highlighted the benefits of a novel service that allows passengers to hire private jets cost effectively if their schedule has room for flexibility. The concept is based on the principle that a private jet flight earns full revenue on a route from one destination to another, but instead of returning empty to the original destination it carries passengers at discounted fares. Ross Kelly, Managing Director for Middle East, Private Jet Charter® said: "This innovative concept, internationally referred to as 'Empty Legs', allows our passengers to make use of private jet flights that would have returned empty to its base or to another global location." "An empty leg refers to a private jet flying empty after dropping off a passenger, or en route to pick up a passenger. As the flight is already paid for, we offer huge discounts. Our customers can avail of these competitive fares when the empty leg of a private jet matches their itinerary, thus yielding huge savings, without compromising on quality and comfort," added Kelly. It is estimated that the 'Empty Leg' concept could reduce private jet flights costs in GCC region by 50 to 70%. The Private Jet Charter® portal provides updated information on available 'Empty Leg' flights connecting popular international destinations to the region and the globe. "We have introduced this service to the region due to a strong demand from customers for one-way trips. Our vast international network can track the availability of 'empty leg' trips and place them on our portal for people to book in a few basic steps," added Kelly. 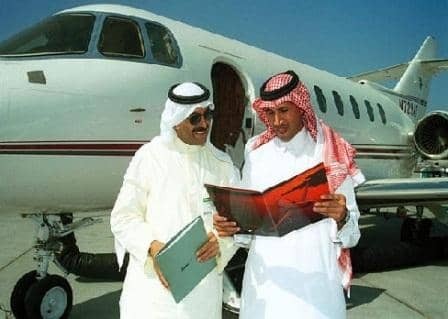 Private Jet Charter® says it will place an extra focus on these kind of flights in view of the high demand reported from GCC private jet users. "We are also trying to boost 'empty leg' flights by adding additional routes to the original return path. Even though there are additional operating costs such as landing fees, it still works out more economical than booking an entire jet," he said. "We always strive to maintain the highest standards in private jet industry. Our world-class approach assures luxury, convenience and safety; we are delighted to say that now we are adding cost-effectiveness to our strengths through 'empty leg' flights," added Kelly. The 'Empty Leg' concept has become very popular in Europe and US, where there are many of jets flying empty on return legs. Private Jet Charter® expects the trend to gather further momentum, especially among clients who are flexible with departure dates and timings. For more information on empty legs available in UAE please contact us.